After a one-day absence from Botany Pond, Honey was there this morning waiting for me. She was hungry, too, and had a substantial breakfast of corn and mealworms. She’s clearly messing with me: absenting herself for a day at a time, making me sad, and then returning. I’m counting on a September 1 final departure, like last year, but until she leaves (and I go to California September 5), she’s going to be fed like a queen. This entry was written by whyevolutionistrue and posted on August 27, 2018 at 8:15 am and filed under ducks. Bookmark the permalink. Follow any comments here with the RSS feed for this post. Both comments and trackbacks are currently closed. As the Stylistics sorta said, the best part of a break-up is the make-up … meal-worm breakfasts? The days are so short! Too bad you can’t tag Honey before she leaves so you know where she is this winter. I wish her a safe flight to her winter destination and a quick return to Botany Pond. 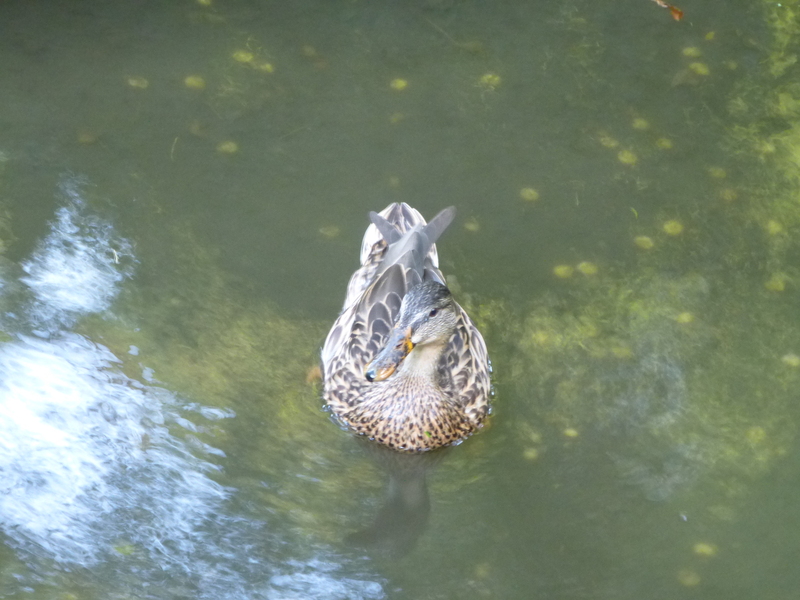 Did you ever visit the ducks at Putah Creek at UCD? No, I wasn’t into ducks then, but I did like to watch the coots. One still hears this expression in Newfoundland. People would say: “hello my duck” as a greeting. At least back in 2001, which was the last time I was there. darling; dear (used as a form of address). I suspect they’re all related. Does Honey go to visit the kids? I am curious as to where they are. Too early to fly south. Most likely in Washington or Jackson Park. I guess that Oak Woods Cemetery is also a possibility – it has Symphony Lake, Peaceful Lake, Lake of Reverence and Lake of Memories. Straight south on 67th St (about 1.25 miles). Also many famous people to visit – Harold Washington, Ida B. Wells, Jesse Owens, Enrico Fermi among them. She’s clearly training you to feed her by occasionally depriving you of her ‘affection’ by staying away for a day or two. She’s adopted the methods of dog trainers who don’t reward desired actions of their dogs by giving a food treat every time the dog performs the desired action, missing giving a reward on a random pattern. The dog gets anxious and is more likely to do the desired action in order to get the treat. If the dog knows it’s going to get the treat definitely once it does the action, it’s less likely to do it. It thinks that it can miss this time and catch up later. This is just speculation but I wonder whether Honey is scouting out other areas with suitable habitat and food. I’ve often wondered why birds don’t just stay near to a good food source, thereby saving energy, but of course if that source suddenly disappears the birds could be in trouble if they don’t have a back-up. In addition, being too predictable or sedentary may not be good when it comes to avoiding predation. This may even be for next breeding season, in case this year’s site is no longer good. Some species are known to wander widely after breeding (the phenomenon is known as post-breeding dispersal). I assume that looking for potential breeding sites for next year is part of the reason for this. 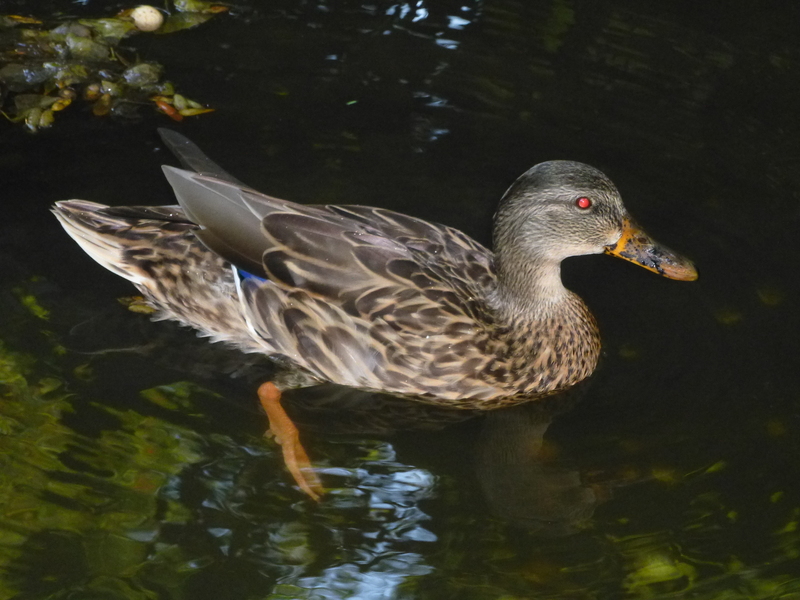 Is the right wing folded over the left wing an instance of “handedness” in ducks? did the ducklings fold the same way? I wasn’t smart enough to notice. I am noticing Honey daily, though. 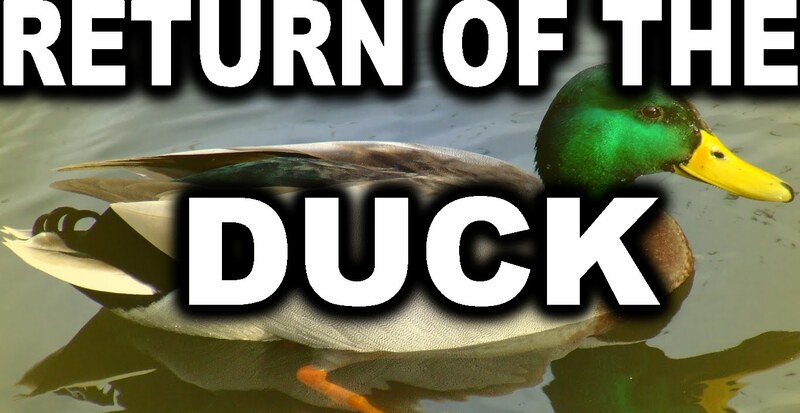 And if she comes back next year, I’ll be sure to watch the ducklings. It’s an interesting question whether ducks show this directional asymmetry, and if it’s all the same in a given species (or differs among species). Thanks for these heart-warming posts on Honey’s adventures, PCC(E). A day without Honey is like a day without sunshine.